Cathy Isom has us celebrating a day dedicated to beautifying our world with flowers. That’s coming up on This Land of Ours. 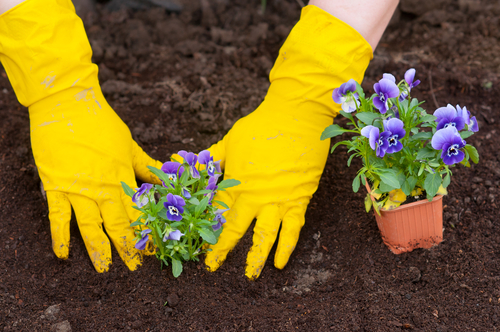 Today is the day we can set things in motion for spring, because its National Plant a Flower Day. Each year this day is dedicated to the planting of flowers and looking forward to the spring season. You could start seeds in a small pot and then set them in a sunny window, or if you’re in warmer climates, plant new flowers purchased from the garden store. Looking for ideas? Daffodils and Marigolds are the flowers of this month. It’s good to know the zone you live in to determine which flowers grow as perennials (those that grow back every year) in your area and which are considered annuals (those that require planting every year in your area). To find out more about Hardiness Zones in your area check out USDA.gov to learn more. Then, use the hashtag #NationalPlantaFlowerDay to share with your family, friends and the world on social media.